Conan O’Brien and his Bavarian buddy are taking the German capital by storm. 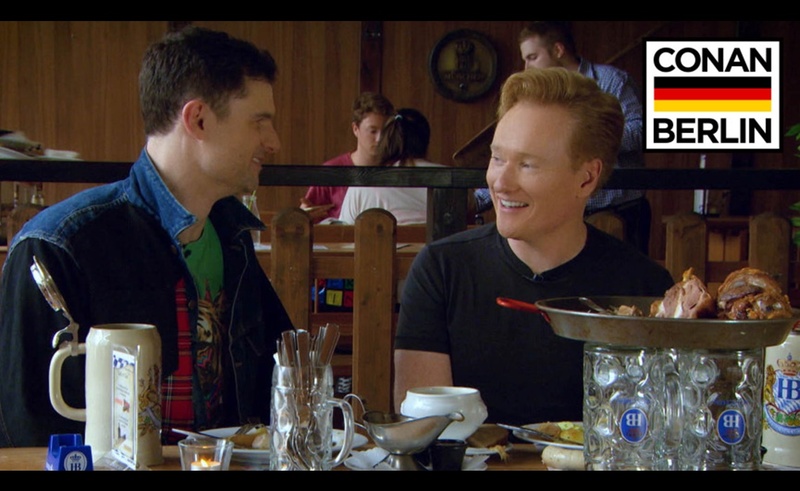 The late night TV host brought YouTube star Flula Borg along with him as he toured Berlin during a recent episode of TBS’ Conan. The well-coiffed comedian and the German YouTuber became buddies back in July, when Flula made his first appearance on Conan. O’Brien took a shine to the vlogger/actor/DJ’s exuberant personality, his deadpan delivery, and his penchant for well-timed Tenzing Norgay references. With their friendship fully formed, O’Brien elected to have Flula served as his guide when he brought Conan across the pond. Up first was a Q&A session during which O’Brien and Flula answered fan questions about their trip. Flula’s fun-loving attitude has made him one of the most popular and most well-liked creators in the online video space. Beyond his overseas date with O’Brien, his other off-YouTube ventures have included an EP and a two-film deal with Lionsgate.